Eight years before at Dance in the Park 2002, this picture, of the same moment with choreographer/dancer DeeAnna Hiett and Winston Dynamite Brown. At that time the dance was a duet. For this work put on by students at UMKC DeeAnna Hiett created a first section with three couples, followed by the original duet. The same moment in performance. Gavin really isn't leaping into an abyss but the lighting gives that impression. 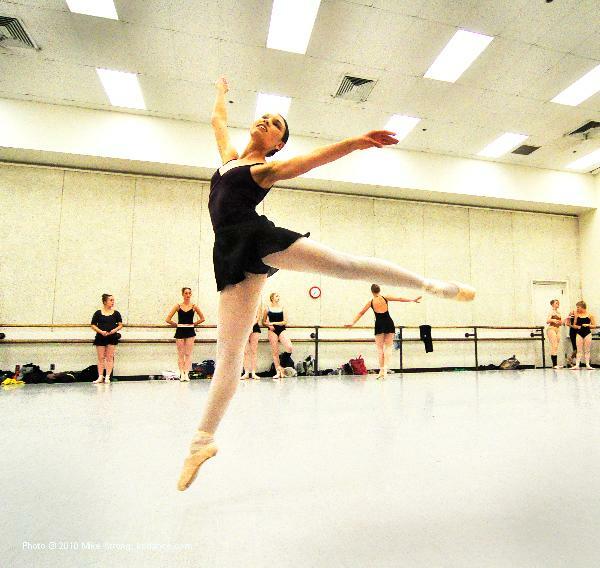 This piece is named in the program for the dancer, whoever she may be, who is performing it. In-studio practice: left-right: Whittney Ricketts, Miyesha McGriff (back), Nina Rose Wardanian. Caitlin Vasser was to the left of this picture's edge. A god or goddess (in a polytheistic religion): a deity of ancient Greece. Divine status, quality, or nature: a ruler by deliusions of deity. 4. A representation of a god or goddess, such as a statue or carving. deite, from ecclesiastical Latin deltas (translating Greek theotes), from deus ("god"). Bernard H.G. 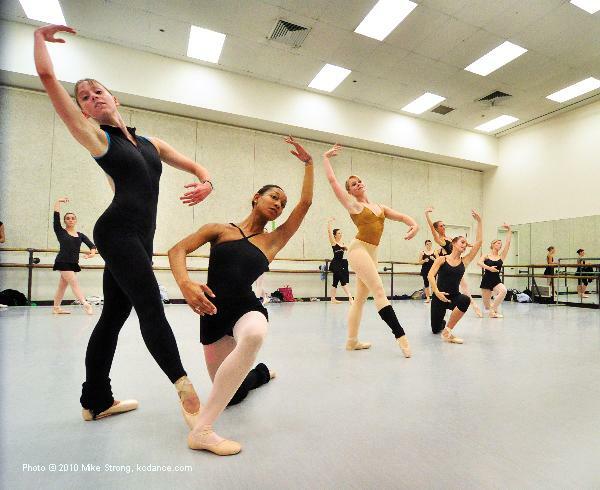 Gaddis' dance studies began in Philadelphia at the High School for Performing Arts with instructors Althea Leslie, Judy Oruska, and David Kloss. 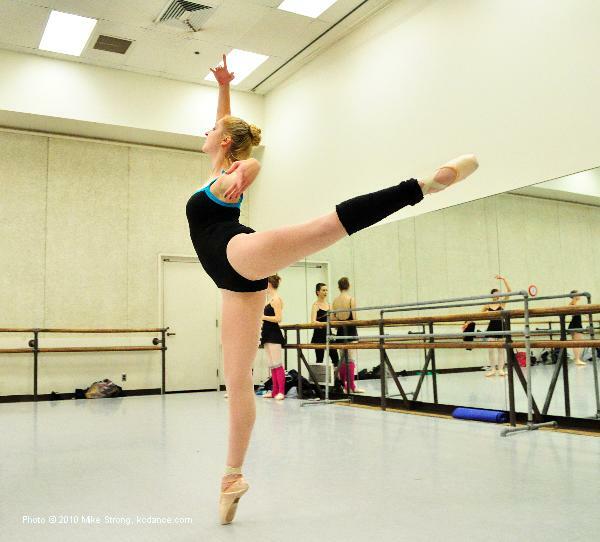 Gaddis earned several full scholarship awards in high school, including to the prestigious Governor's School for the Performing Arts, the Pennsylvania Ballet, Dance Theater of Harlem, Princeton Ballet, and the Alvin Alley American Dance Theater. 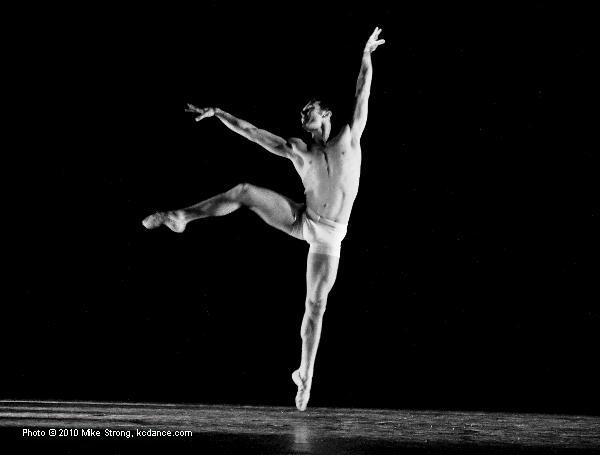 Gaddis began his professional career at age fifteen with the Philadelphia Dance Company (Philadanco), later founding its second performing company, D2. Gaddis has received numerous awards as D2's artistic director and choreographer including Philadelphia's prestigious Men Making a Difference award. Gaddis spent seven years in New York City as principal dancer with the Alvin Alley American Dance Theater under the direction of Judith Jamison. In Los Angeles, he appeared in The Lion King under director Julie Tamour. 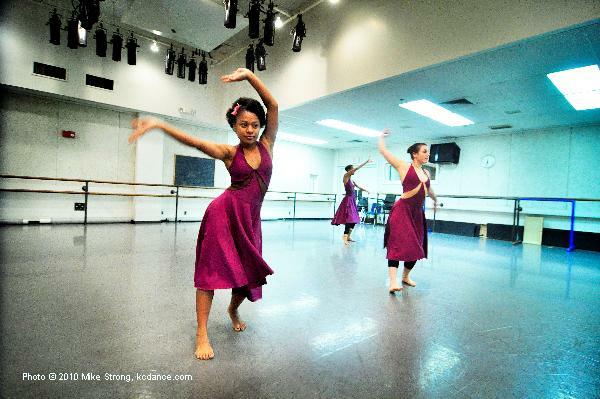 Gaddis has performed with companies throughout the world, including Oakland Ballet, Ballet Pacifica, Koresh Dance Co., the Pennsylvania Ballet, and Zingaro (Paris). He has performed for the Queen of England, Nelson Mandela and Bill Clinton and in venues such as the Paris Opera House, Carnegie Hall, Metropolitan Opera House, the Kennedy Center, Lincoln Center, Tivoli Theater Copenhagen, and the Bolshoi Theater, among others. Gaddis has had the privilege of having ballets created and remounted on him by renowned choreographers Alvin Ailey, Judith Jamison, Talley Beatty, Ulysses Dove, Jerome Robins, Donald McKayle, Garth Fagan, Geoffrey Holder and many others. Gaddis received training from master teachers Marion Cujett, Delores Brown, Sandra Fortune, Maurice Bejart, Katharine Dunham, Jose Mier, Frank Hatchett, and Jimmy Truitt. Gaddis is an expert instructor in horton, ballet, dunham, and African dance styles and has lectured at educational institutions across the US. Gaddis is currently a principal dancer and choreographer for Cirque Du Soleil's Zumanity and Mystere in Las Vegas. He is also the event coordinator and artistic director for Cienega Entertainment Group in Los Angeles. Additionally, Gaddis enjoys extensive careers in modeling, acting, and photography with features and appearances in myriad publications and television programs. 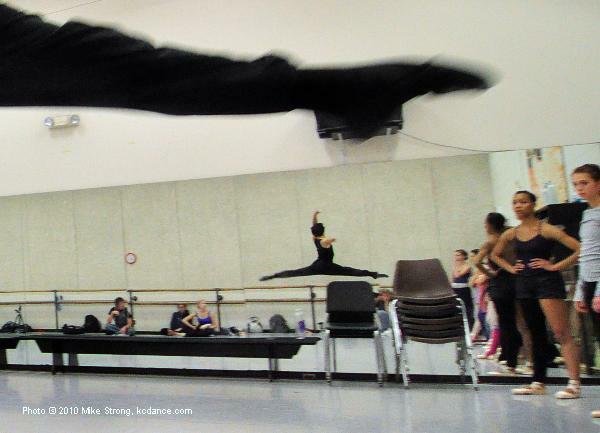 Mary Pat Henry is a professor of ballet at the University of Missouri-Kansas City Conservatory of Music and Dance. She holds a Bachelor of Fine Arts degree from the University of Utah and a Master of Fine Arts degree from Florida State. In 2007 Henry received the Muriel McBrien Kauffman Artistry/Scholarship Award and in 1992 received the Muriel McBrien Kauffman Excellence In Teaching Award. 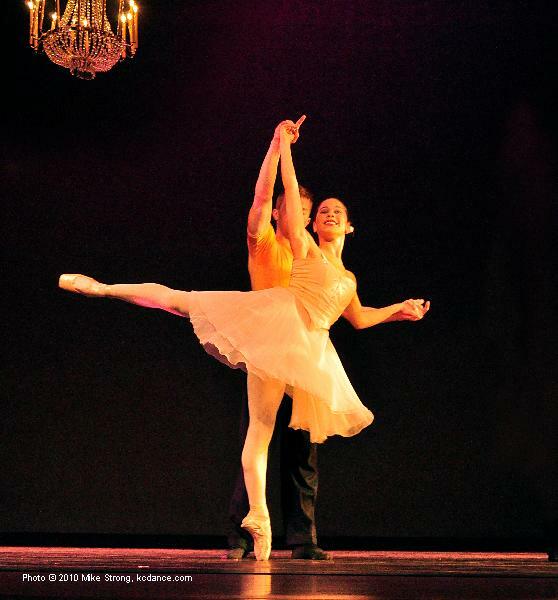 She has performed with the San Francisco Ballet, Ballet West, and Radio City Music Hall. She has been a guest artist with the South Carolina, New York, Virginia Arts Commissions, and New York's Young Audience program for a variety of artist-in-residence programs. Henry has choreographed for the Dance Theater of Harlem, Radio City Music Hall, the Victoria Arts Festival in Canada, Off-Broadway, ABC's television special Kids Are People, Too, and various dance and theater companies throughout Europe and the United States. In addition to teaching master classes for dance companies around the world, Henry was a member of the ballet faculty of the Dance Theater of Harlem, the Feld Ballet in New York, the Laban Center for Movement and Dance, the Royal Academy of Dance in London and for the Guggenheim Foundation. She is also a respected adjudicator for regional and national dance competitions in the United States and Canada. 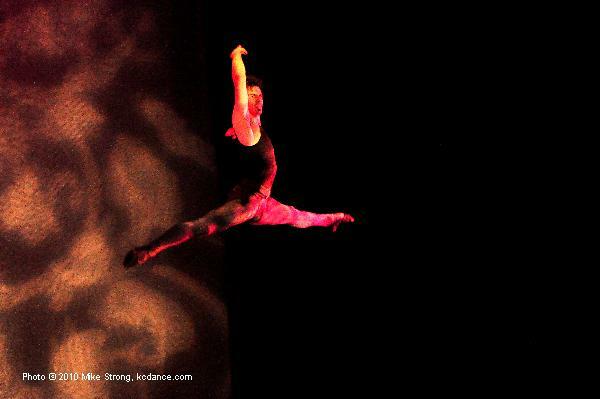 Henry has been on the board of directors for the American College Dance Festival Association. She is currently the artistic director of the Wylliams/Henry Contemporary Dance Company, a professional contemporary dance company based in Kansas City. 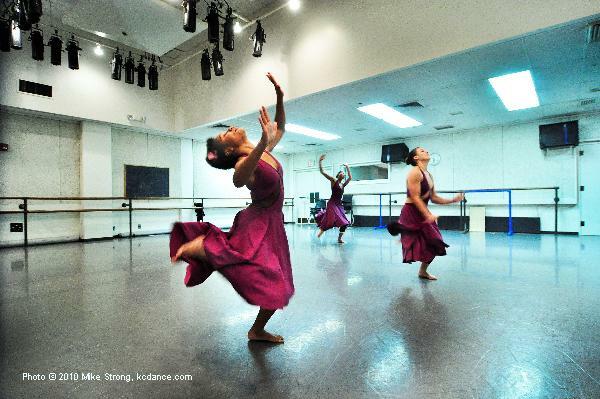 Texas native DeeAnna Hiett moved to New York City after receiving a full merit scholarship to the Alvin Ailey American Dance Center, joining the Alvin Alley Repertory Ensemble in 1986. She was a charter member of the Jamison Project under director Judith Jamison, later joining the Alvin Ailey American Dance Theater. Hiett has danced with Ballet Hysell, the Wylliams/Henry Contemporary Dance Company, Deeply Rooted Productions, Quixotic, and as a special guest artist with several companies including the Kansas City Ballet. She has performing ballets by choreographers Alvin Ailey, Judith Jameson, Donald McKayle, George Faison, Jonathon Butler, and Dwight Rhoden, among others. Hiett has also worked commercially with artists such as LL Cool J, Cameo, designer Issey Miyake, and industrials American Express and Hanes Her Way. Hiett has performed in the Lyric Opera's Carmen and The Merry Widow in Kansas City. She has given master classes and choreographed internationally for numerous universities including Princeton, the University of Michigan, the University of California-Berkley, Montclair State College, Missouri State University, Philadelphia School of the Arts, and the University of North Texas. She has taught at Ichibungi in Tokyo, Japan, and Steps and Broadway Dance Center in New York City. 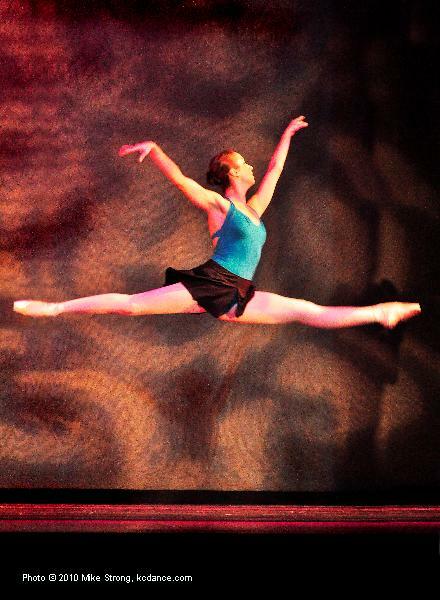 Hiett has been involved with Ailey Camp in both Missouri and Kansas for over a decade. Hiett has created ballets for the Wylliams/Henry Contemporary Dance Company, Cleveland Contemporary Dance Theatre, and the Kansas City Ballet. In 2007 she performed for the Career Transitions for Dancers 22nd Anniversary Jubilee in New York City. She has received many reviews and awards including a recent Generative Performing Artists Award from Charlotte Street Foundation in Kansas City. 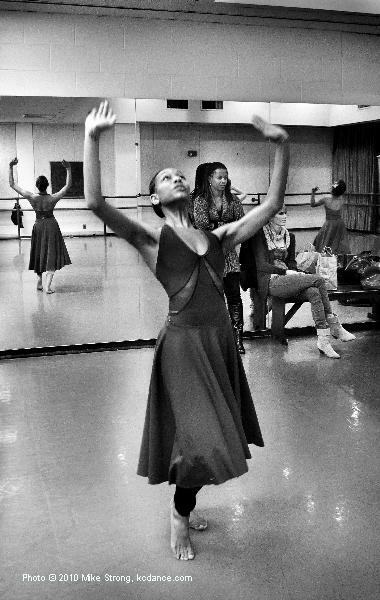 Sabrina Madison-Cannon was trained professionally as a scholarship student at the National Academy of Arts and the Alvin Ailey American Dance Center. As a so­loist with the Philadelphia Dance Company (Philadanco), Madison-Cannon worked with such renowned choreographers as Talley Beaty, Milton Meyers, Elisa Monte, Michael Peters, Gene Hill Sagan, and Lynne Taylor Corbet. She holds a Master of Fine Arts in dance from the University of Iowa and a certification in Pilates from Stott Conditioning in Toronto, Canada. Madison-Cannon's teaching experience includes faculty positions at Southern Methodist University, the University of North Texas, and the Philadelphia School of Dance Arts. 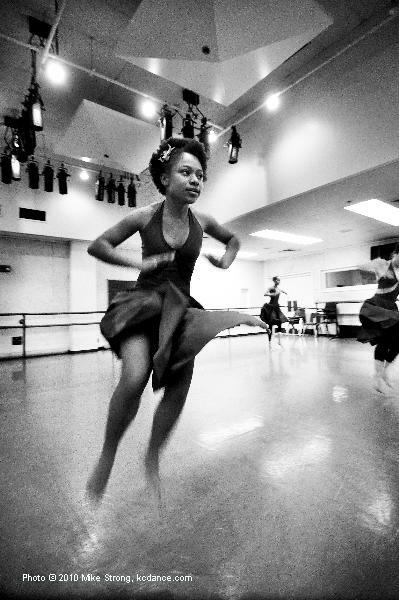 She has had guest teaching positions at the University of Iowa, Hampton University, the Fort Wayne Ballet Academy and Virginia School of the Arts and has the honor of being the University of Georgia's first Willson Center for the Arts Franklin College Visiting Scholar, Cur­rently she is an assistant professor of dance at the UMKC Conservatory of Music and Dance. Her choreography has been presented for the International Chore­ographers Showcase in Barcelona and Madrid, the New York International Fringe Festival, the American College Dance Festival's Gala Performance and twice for the International Association of Blacks in Dance Conference. Ronald Tice's professional career has spanned four decades as a soloist in Europe and North America. Starting in theatre and dance at age ten, he studied on full scholarship with the Minnesota Dance Theatre, San Francisco Ballet, and Royal Winnipeg Ballet. His teachers include Mikhail Baryshnikov, Jurgen Schneider, Woytak Lowski, Anatole Vilzak, David Moroni, Maggie Black, Georgina Parkinson, Hilary Cartwright, Magali Messac, and Patricia Neary. 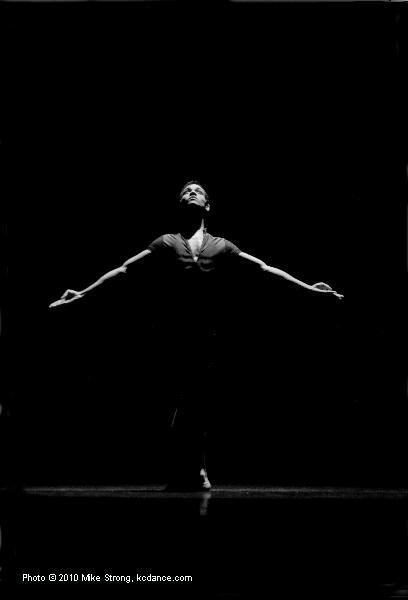 His professional career includes the Zurich Opera-Ballet, the Grand Theatre of Geneva, Royal Winnipeg Ballet, North Carolina Dance Theatre, Pacific Northwest Ballet, American Ballet Theatre, and international guesting. He is a master teacher in ballet and has taught for NCDT, ABT, Minnesota Ballet, Western Ballet, Cornish College of the Arts, Spectrum Dance Theatre, Ballet Arts Minnesota, University of Washington, the Royal Academy of Dancing, among others. Tice's appointment prior to UMKC was that of master ballet teacher at the Minnesota Dance Theatre. Paula Weber received a Bachelor of Arts degree in dance from Butler University and a Master of Fine Arts degree in dance from Smith College. She has studied ballet with such masters as Maria Tallchief, Jean Paul Comelin, Dermot Burke, Basil Thompson, Larry Long, Marjorie Mussman, and Maggie Black. During her professional career, Weber performed solo and principal roles of more than 45 major works which include Swan Lake, Giselle, Romeo and Juliet, and Coppelia, and contemporary works as George Balanchine's Concerto Barocco, Agnes DeMille's Fall River Legend, John Butler's Carmina Burana and Alvin Alley's The River. She has worked with choreographers Bill T. Jones, Laura Dean, Charles Molton, and Kevin Jeff. She has been a member of the Milwaukee Ballet (principal), Lyric Opera Ballet of Chicago (soloist), Chicago Ballet, and the Indianapolis Ballet Theatre, and guest artist with the Hartford Ballet. She is currently assistant director of the Wylliams/Henry Contemporary Dance Company and is a ballet mistress with the Albany Berkshire Ballet. In 1996 Weber was invited to be a guest instructor of ballet for the Shenyang Conservatory of Music, Shenyang, China, making her the second American ballet master to visit that conservatory. Weber was the recipient of the 1997, 2001, and 2008 Muriel McBrien Kauffman Excellence in Teaching Award presented to her by the UMKC Conservatory of Music and Dance. 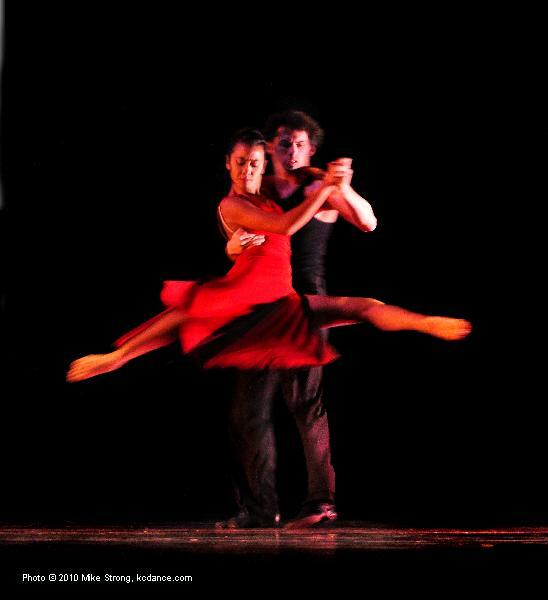 Weber's choreography for the Kansas City Ballet's Toccata e due Canzone earned recent acclaim. She also choreographed the highly successful Carmina Burana for the Kansas City Ballet and the Albany Berkshire Ballet, Albany, New York.